Contrary to what was previously thought, older pets need protein even more than when they were younger. That’s right. 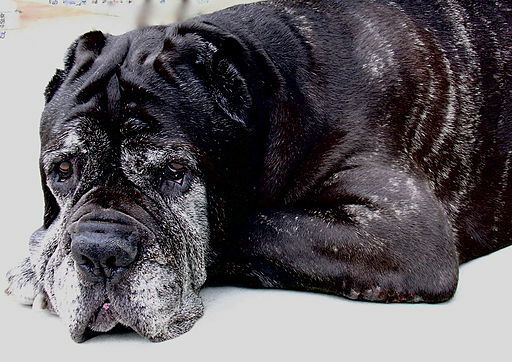 Senior dogs and cats actually need more, not less, protein from a nutritious diet of meat and fish. Their kidney, liver and immune functions need extra help during the aging process and they get that by eating quality protein that is easily digestible and has sufficient moisture content. The focus today is on meat. Meat is protein. And carnivores, like domesticated dogs and cats, and their ancestors in the wild, eat meat. That said, let’s take a look at protein. A dog’s and cat’s body is made up almost entirely of protein which also plays a role in vital body functions such as digestion. In the digestive process, substances are either utilized or eliminated. Protein needs to be eaten daily because the body doesn’t store it for future use like it does fat. The body needs both sufficient protein as well as good quality protein to perform satisfactorily. This organ—not eaten nearly enough by humans, by the way—has enormous nutritional value. It is packed with protein and is rich in minerals such as iron, trace minerals, and amino acids, as well as vitamins A, D and all the Bs. So now, hopefully, we can all agree on the benefits of feeding our canine and feline friends meat and why older pets need protein from this source. But, do we all agree on when older pets actually become senior pets? Let’s find out. It’s quite interesting to discover that veterinary professionals and pet parents have different ideas on the age that dogs and cats enter the “senior” category. A study shows that they do not agree. Veterinarians consider it starts earlier than pet parents do. Here’s the breakdown. Most veterinarians and their staff say it is between 5 and 7 years old. More than half of pet parents think it is between 7 and 9 years. Most veterinarian professionals say by age 9. Most pet parents think it is by age 11. Are you surprised by the stats? I certainly was! You see a word or phrase on a bag of dry food or a can of wet food and think you know what it means, but do you really? We all know that some advertising claims can be misleading and the pet food industry is no exception. Here are the most common words you will read on a pet food label together with our guide as to what they really mean and what the use of these words actually signifies. “Natural” leads us to believe that it is good, harmless, something that has worth. However, this word doesn’t tell us anything. Period. “Grain free” is good because dogs and cats do not have a digestive system that enables them to process the cellulose found in plants. However, manufacturers replace them with other substances such as soybeans and potatoes to provide the required consistency. These are not good either, but acceptable if kept to a bare minimum. High quality meat and fish protein is good, very good. Protein that comes from sources that are potentially harmful to carnivorous pets, are definitely not good. On its own, this phrase is misleading. Liver is classified as a by-product yet it is highly nutritious. Road kill and euthanized animals also fall under this heading and continue to be used in the manufacture of pet food with deadly consequences. What? 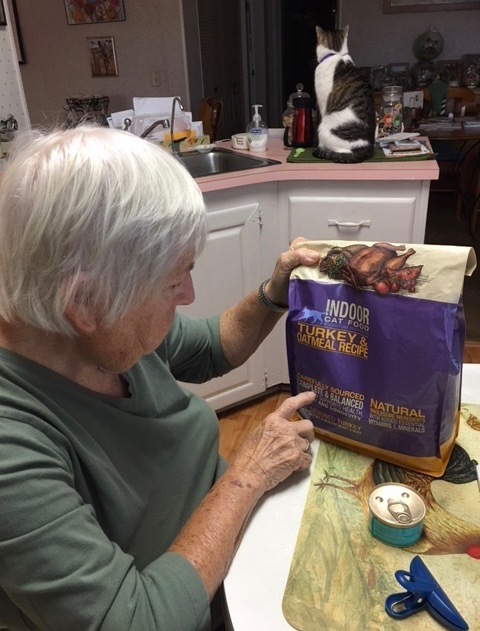 I would certainly hope that pet food manufacturers rely on food scientists to formulate the products they sell and that this task is not done by some amateur in their home-based kitchen. So, is “scientifically formulated” supposed to convey that the nutritional benefits claimed by a company are scientifically supported by clinical studies? I guess we’d have to ask them to find out. Really! According to whom? “Complete and balanced” in the eyes of the manufacturer? Or in the eyes of a nutritionist with a university degree? No wonder most pet parents are confused. And, some are confused and angry. It takes effort and it can be time consuming, but often the only way to be satisfied that you are doing your very best to keep your pet healthy is to do your research. From reliable sources, of course. I’ll leave discussing unbiased publishing and news reporting for another day.